When we left Wiggins around 7:30 am this morning, it was 39 degrees, but the sky was clear, suggesting warmer temperatures. 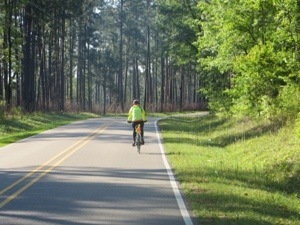 We began to shed clothing by the first sag stop and I saw 73 degrees on a bank sign this afternoon. 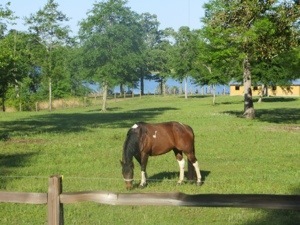 At times it felt as if we were biking in Kentucky, with lush green grass and numerous horses. 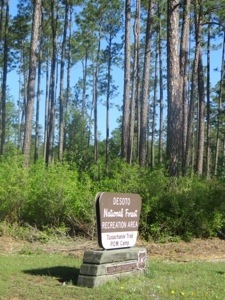 For much of the morning, we enjoyed the serenity of the De Soto National Forest – only the sounds of birds chirping and my bike shoes squeaking. 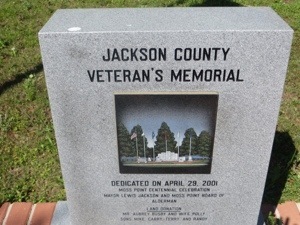 I did see this sign for a former POW campsite. 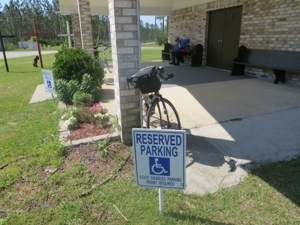 This parking place and these pews were a perfect rest spot when we needed a snack. 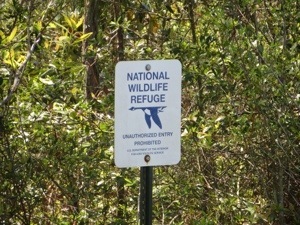 For ten miles (from 50-60), we saw these signs for Wildlife Refuge. 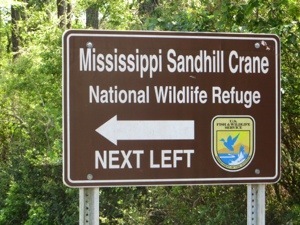 Then we biked past this sign, though we did not make the turn. 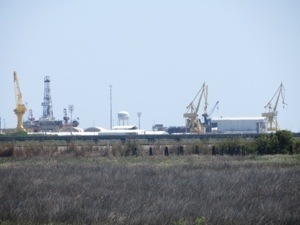 I assume the cranes have headed back north. 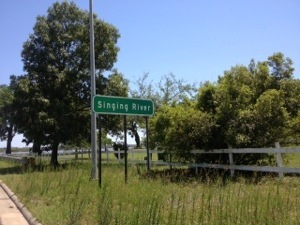 At mile 61, we approached Pascagoula, first riding over the Singing River. 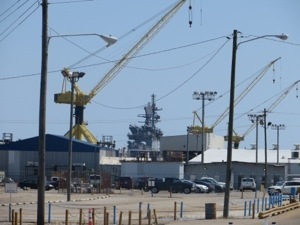 Before the next bridge, I noticed this large shipbuilding operation and took a ‘detour’ to explore. 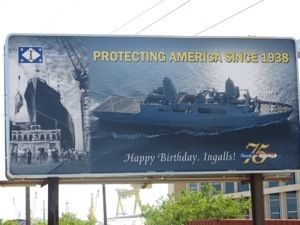 The major operation was Ingalls Shipbuilding, obviously building for the U.S. Navy. 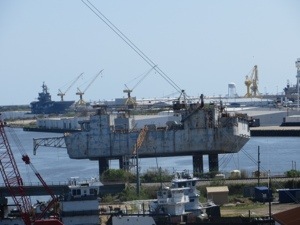 I also wandered toward the Boat Ramp area, passing these ships in dry dock, and tugboats. 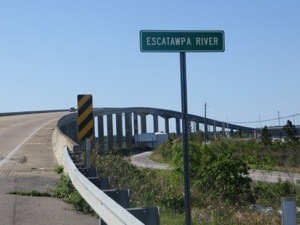 Next, I had to pedal up this bridge to cross Mississippi Sound. 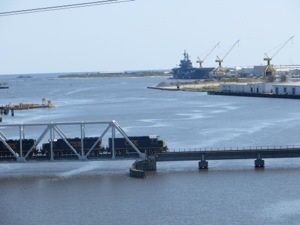 Nearby a train was crossing the bay below, with one of the ships being built at Ingalls in the background. 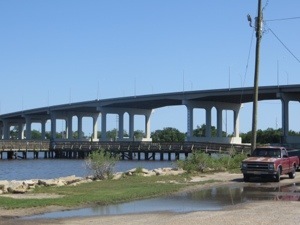 The route wandered north of Pascagoula, where we were staying overnight in Moss Point. 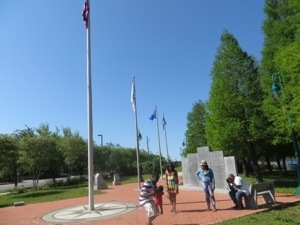 I stopped to explore this Veterans’ Memorial Park, built to commemorate those who fought in the wars of the 20th century. 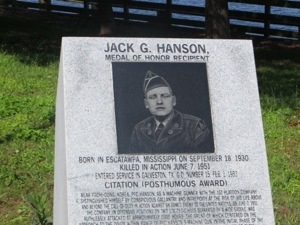 As I headed to the final bridge, I realized it was named in honor of Jack Hanson, a Medal of Honor recipient from the Korean War who was born and is buried locally. We are staying at the Best Western Flagship Inn. 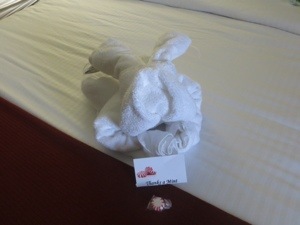 This towel rabbit brought back fond memories of animals the stewards made on many of the cruises we took with Mom. 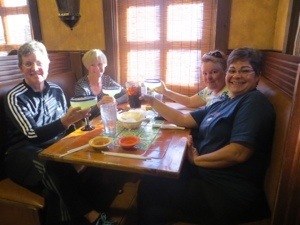 Sadly, Guide Linda, our cook, is under the weather, so we went to a local Mexican restaurant for dinner – food nowhere as good as Linda’s, but we got margaritas a night early. very cool Dolly, you are doing so great. 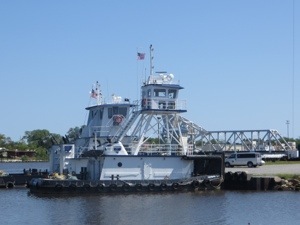 Can’t wait to make my own trip in 2016. 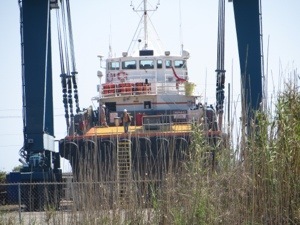 So glad you are safe and healthy. First challenge game canceled because of cold weather. 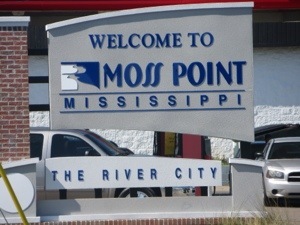 Hope to see you this summer. 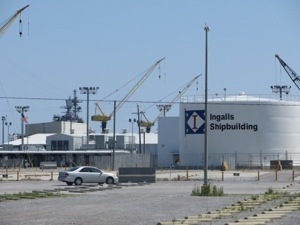 Spent many a day at Ingalls Shipyard in Pascagoula.